Daily Press, Aug 5, 2014 (emphasis added): MYSTERY ILLNESS — Alyssa Langel[‘s] three-year-old horse… has large patches of skin exposed. 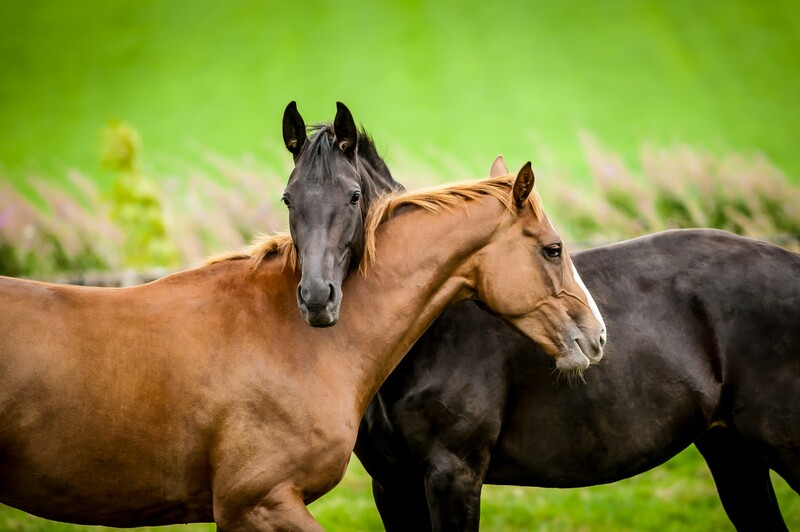 [Owners] remain unsure what caused many horses to manifest swollen eyes and lips, as well as blisters… They heard of a similar outbreak affecting other horse communities in California. Kendall Melline, owner of sick horses: “It’s devastating… my national champion… her entire body, her entire first layer of skin is going to fall off.”… She’s not seen any improvement… and is very concerned. Press Enterprise, Aug 12, 2014: [Brian Cockerton’s] two horses had… rashes and burn lesions … lesions spread over most of the horses’ bodies [and they’re] in pain. “It’s horrible… dozens of cases [are] affecting horses in a widespread area of Southern California in at least the past 2 1/2 weeks…. There may well be many more unreported cases, [an official] added… hair and skin – later began falling off in big patches [and one] fainted twice while being washed… A farrier told Cockerton he hasn’t seen anything like it in 40 years of shoeing horses. Colorado St. Univ., Apr 13, 2015 (emphasis added): CSU partners with Fukushima University to study radiation effects… Many CSU faculty and researchers are contributing to radiation research in Japan… including Thomas Johnson… professor of health physics, who is testing trace radiation samples in seal populations in the northern Pacific Ocean, where radiation from the Fukushima disaster was released. • A variety of the observed disease conditions are reported for the first time in ice seals and/or walruses. • The majority of observed conditions in our material is classified as benign and are mostly inconsequential to the health of the harvested animals. (below) Petroleum industry is the usual cause of war, ecocide, forced relocations & genocide - another reason to go to solar power (report coming) & electric cars: Every 10 seconds, nonstop for a couple months at a time, explosions eight times louder than a jet engine bombard the ocean floor, bursting the ear drums of whales, dolphins and other animals causing them excruciating deaths and rupturing their organs. 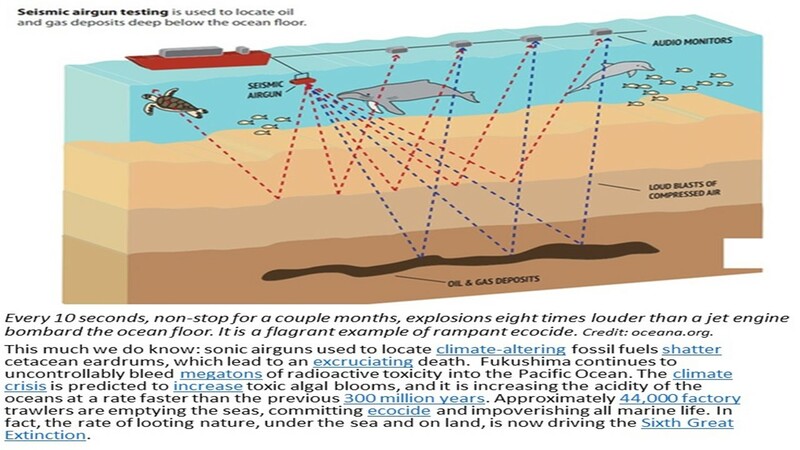 The nuclear industry plutonium in ocean currents from Japan circulating circularly in the Pacific Ocean kills millions of sea creatures ... and the petroleum industry using sonic cannons kills millions of creatures as well. Installing solar energy stops these killers and phases out the nuclear and petroleum industry, and phases in solar energy, peace and prosperity. (above) Original Huffington Post article, Dying whales, horrific omen; here ...or, Dying whales, horrific omen, slideshow, here.